A recently established group for budding young musicians, who play brass and woodwind instruments, and would like to improve as well as play in a orchestral group. We are always looking for new members, so if you can play a few notes on an instrument, then come and along and try it out. If you can play 3 notes then you are welcome to come and join. Beginners are welcome, but some experience with a brass or woodwind instrument is preferred. 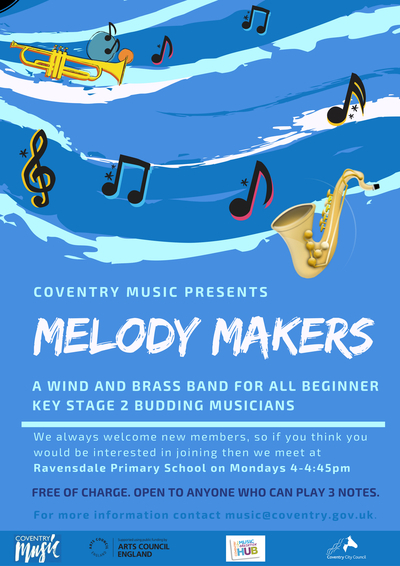 If you are learning an instrument at school this is the ideal way to get more practice and play in a group, with opportunities to perform at venues across Coventry.